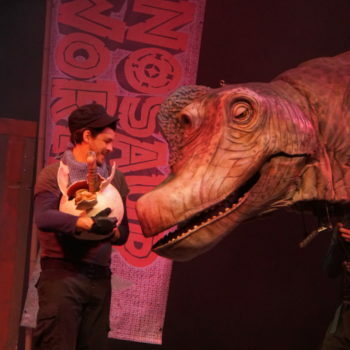 Blog » Mumbler Reviews: Dinosaur World Live! 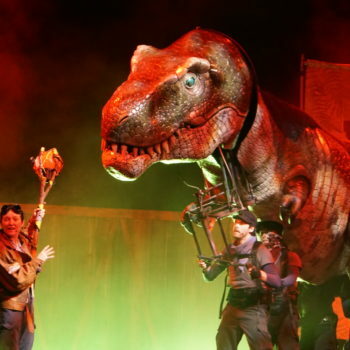 Mumbler Reviews: Dinosaur World Live! 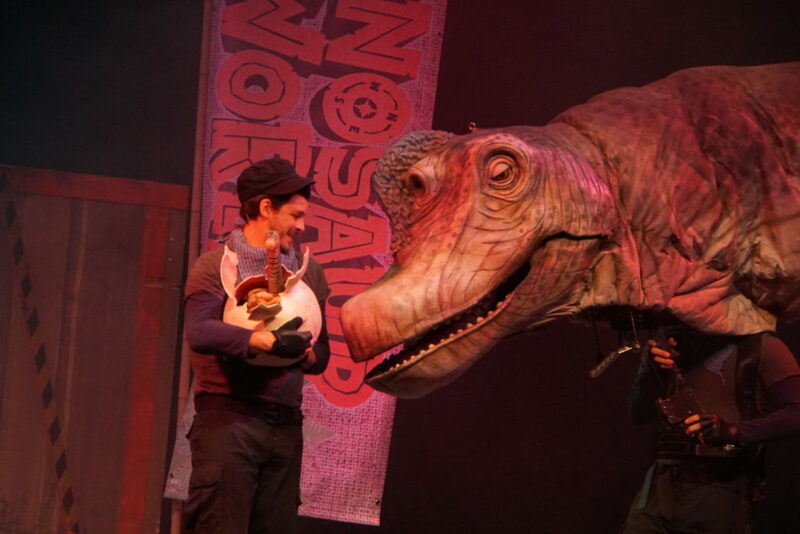 When Norwich Theatre Royal asked if we wanted to pop along to Dinosaur World Live to see what we thought, I jumped at the chance as a) Who doesn’t love dinosaurs? 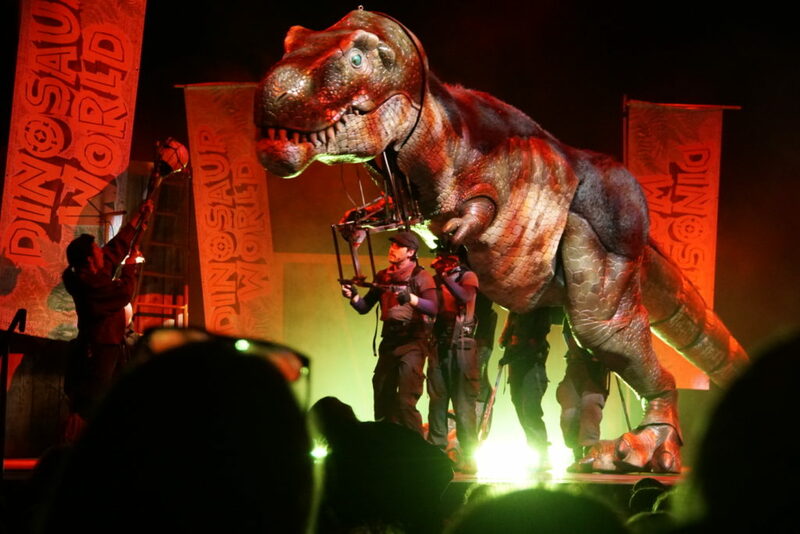 and b) Mini Mumbler’s topic at school is dinosaurs, so it was perfect timing. 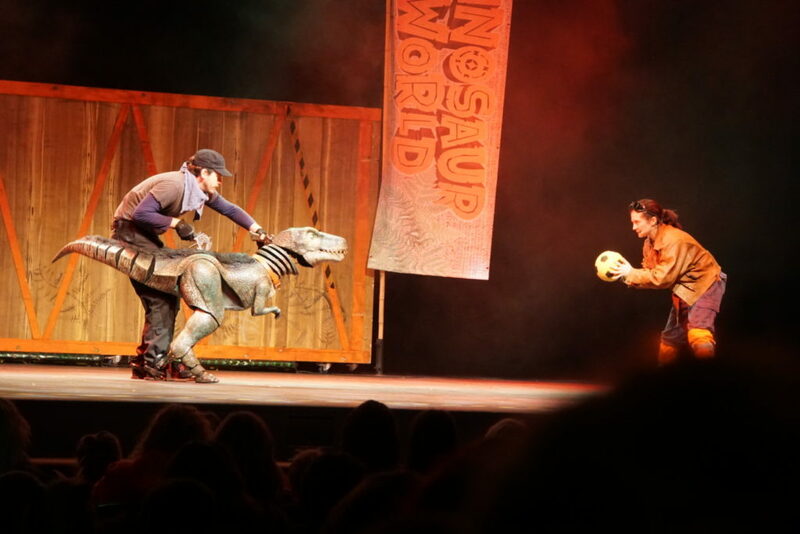 The audience meets Miranda at the beginning of the show, who of course has everyone’s attention straight away because she starts telling the story about how her family came to be on an island off the coast of South America, and says that we’re all going to meet some of the dinosaurs!!!! 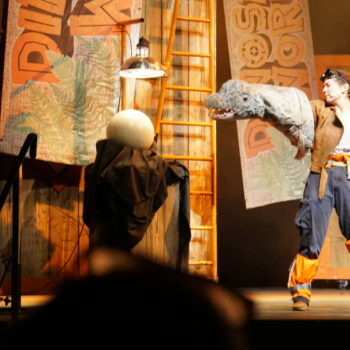 I don’t know what I expected from the show, but I genuinely felt myself go ‘Woah!’ when the first dinosaur came out onto the stage. 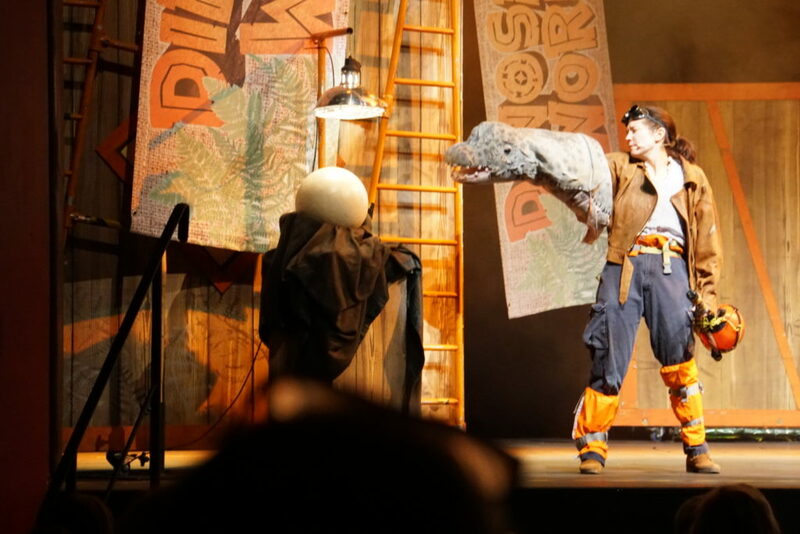 In fact, each time a dinosaur was introduced to the audience I was super impressed and would start analysing how many puppeteers it had and how it worked. 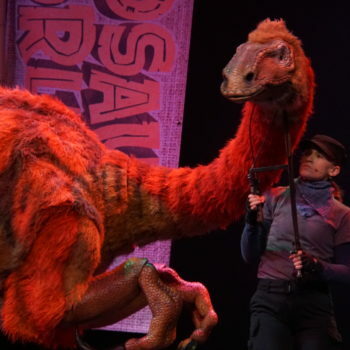 This was short-lived though as they are SO life-like you soon forget they are puppets and you just stare in awe at each dinosaur’s mannerisms and how they interact with Miranda. 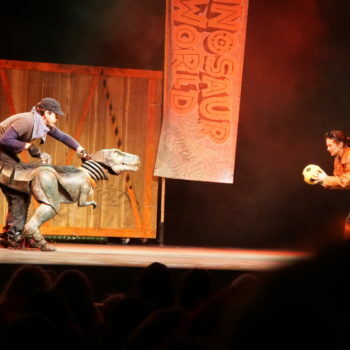 Each one has its own personality and Miranda adds in facts about each type of dinosaur, so it’s educational too – winner! 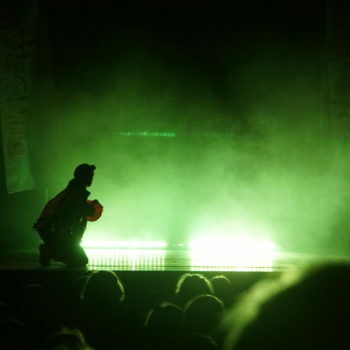 Waiting for the egg to hatch! 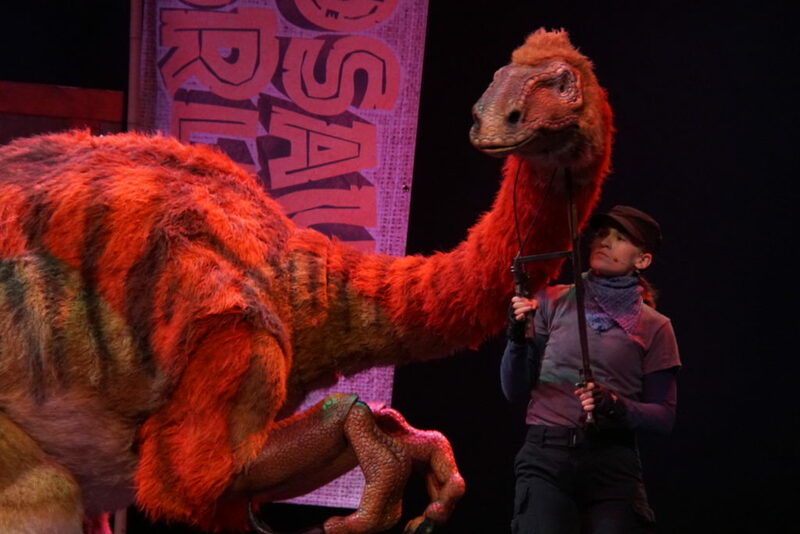 Mini Mumbler recently turned 4 and didn’t find it too scary, although she did cling to me at some moments until I reminded her that they’re puppets, and she absolutely did not want to offer to go on stage when Miranda asked for volunteers – ha! 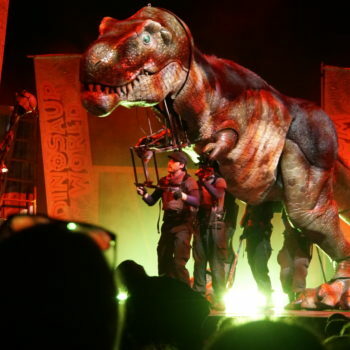 I think the 3 years+ age guidance is spot on, but more sensitive children might need a hand to hold (especially when the giant T-Rex comes out – that is a bit scary!! 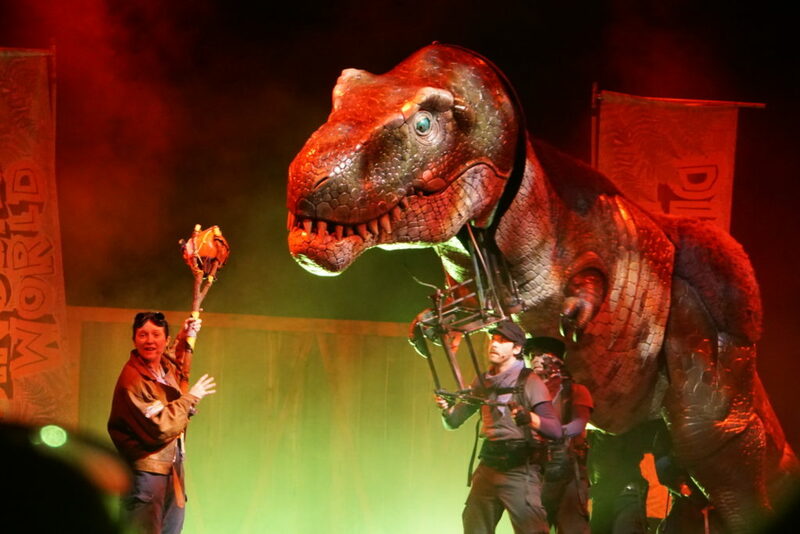 ), and at only 50 minutes long, it’s the perfect age for younger dinosaur fans. 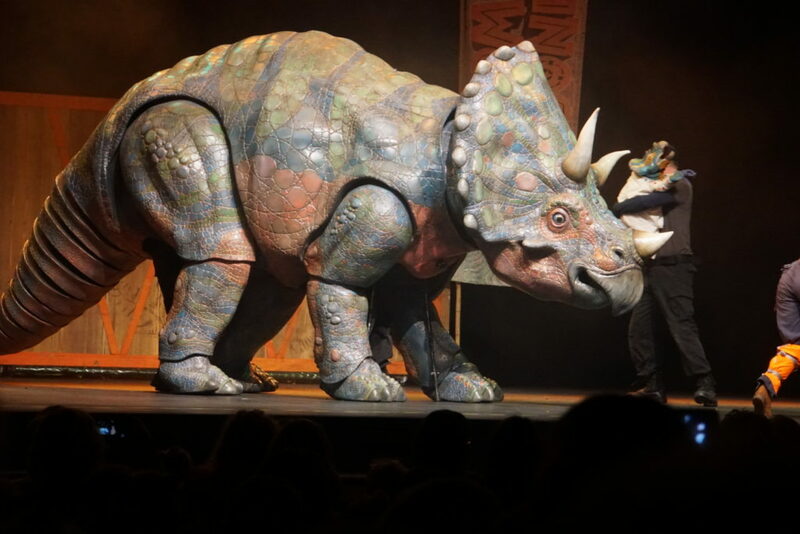 This was truly a fantastic show and everyone in the audience had the chance to see the dinosaurs up close at the end, a great interactive experience. 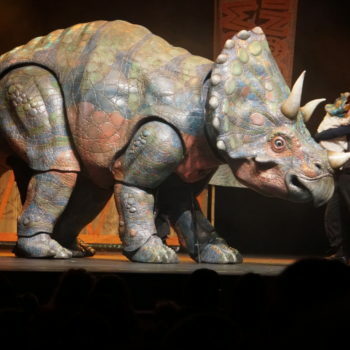 **Please note: The Theatre Royal are being quite strict with the ages of their performances. When I asked if I could take the Teeny One (who is not quite 2) they said no as it was strictly 3 years + and younger siblings wouldn’t be allowed. 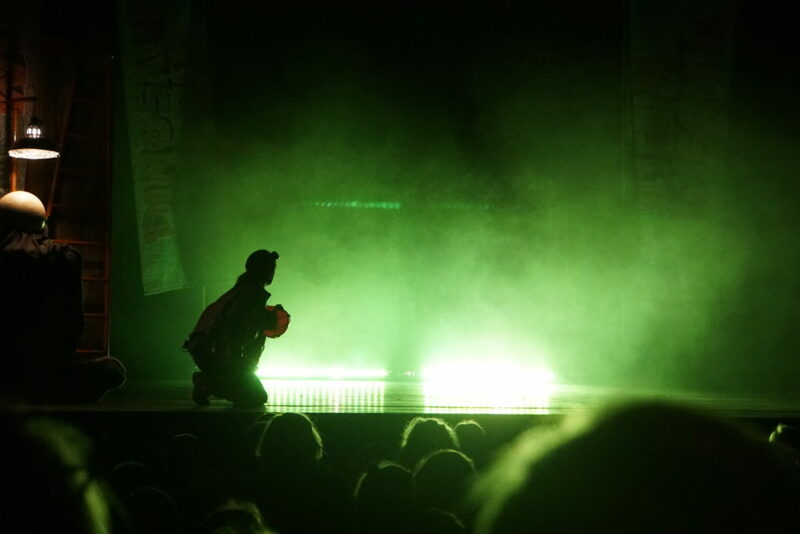 A big thank you to Norwich Theatre Royal for inviting us along to review the performance.